(Small) Business — The Future is Here. 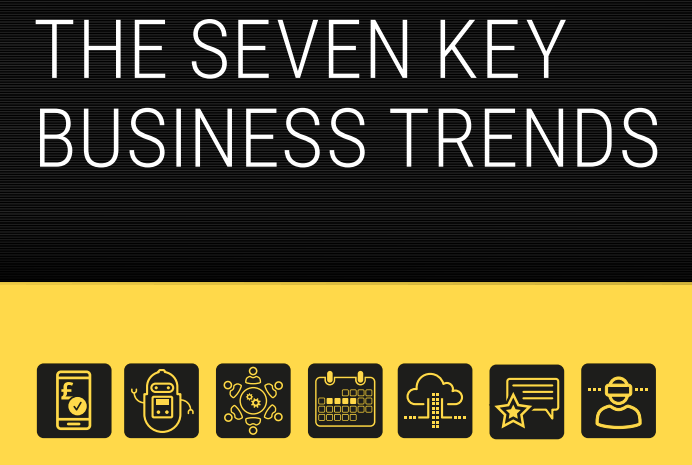 We’re very proud of this report on the future of small business that we produced for Yell.com. algorithms that turn “should-we-lend?” uncertainty into risk you can put a price on, it will be easier to access capital, accept payments, and calculate cash flow and taxes. Money will become, if not easy, at least far easier to get hold of and manage. It’s clear that millions of jobs will be taken by robots. But while some worry that robots will simply take our jobs and create mass unemployment, we believe that the effect of automation will be more nuanced. On the one hand, as it destroys jobs it will also create new, yet-to-be-discovered jobs — just as automation has done before. And in most industries, rather than take our jobs, robots will take on our tasks. Producing a movie, if you think about it, is just like any other project. possible to sell the movie. Emerging research strongly suggests that 8-hour days are a suboptimal way to work — and that the optimum is far closer to 4 hours per day. We believe the Four-Hour Work Day will unleash a wave of human happiness, and productivity and creativity at work. There has been plenty of excitement about Big Data for some years. The challenge, of course, is to find the signal in the noise and turn the data into actionable insights. After all, there’s a reason it’s called “big”: Netflix gathers more than 500 billion pieces of information per day. Fortunately, the emergence of ever more powerful AI and ML means we are more likely to make sense of it all in the future. In an era of ethical consumerism, transparency, and heightened concerned about the environment, business is moving from single-minded concern for profits, to a broader interest in three more Ps: people, planet and purpose. As forecast in James Wallman’s Stuffocation, people are becoming determined ‘experientialists’ and the experience economy is taking off. As a result, in the future, all firms will compete less through the material goods they provide – they will just be a hygiene factor – but through ever better customer experience (CX) and user experience (UX). And those, it’s worth noting, are often delivered by better employee experience (EX). CLICK HERE to download the 35-page Future of (Small) Business report and find out more.